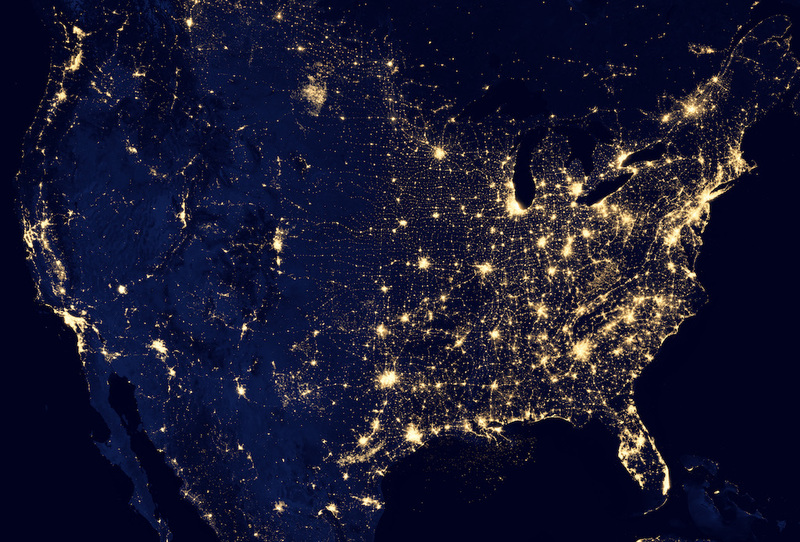 According to the U.S. Energy Information Administration, about 6 percent of the electricity generated in the United States gets lost due to inefficiencies in the power grid. For more than 30 years, utilities have experimented with Conservation Voltage Reduction (CVR), a mechanism that enables them to slightly drop voltage on the grid and reduce power consumption without sacrificing performance. Full implementation of CVR can produce tremendous energy savings—almost 3.04% nationwide, according to the U.S. Department of Energy. Technical limitations have limited these efforts, however. The key to full implementation of CVR lies in developing dynamic electric load models that can account for constantly changing electric loads on the power grid. A new Siebel Energy Institute-funded study, led by Thomas Overbye, a professor at University of Illinois Urbana-Champaign (UIUC), aims to develop such a tool. Load models are algorithms that can predict how much power use varies with voltage in any part of the electric grid—a neighborhood or city, for instance. The biggest challenge to developing more accurate load models has been lack of sufficient data. It is not always feasible to conduct experiments on the power grid, and doing so can be very labor intensive. Customer privacy concerns often lead utilities to provide researchers with aggregate data, which may not be as useful. Fortunately for Overbye and his research partner, Komal Shetye, Senior Research Engineer at UIUC, the power company Ameren Illinois offered to conduct a real-world CVR experiment on its system and share its data. Ameren reduced the voltage in its system by 4% for a few hours during a time of high heating loads and supplied data in two timescales—on a one-hour and a one-second basis over the course of a day. Most CVR studies apply voltage drops for a day on consecutive or alternate days, and capture data hourly for a year. For the 1-second data, Ameren provided two days’ worth of “control” data when voltage reduction was not applied. This gave the team the kind of high-resolution data they needed to begin constructing a dynamic load model. Their findings will form the basis for a comprehensive research proposal to develop dynamic load models, which they will present to government agencies and/or power or utility consortiums. Overbye and Shetye spoke with the Siebel Energy Institute about the project. Q: Why are load models so challenging to construct? The load models developed by the electric power industry have gotten better over time, but they’re still not as good as we would like them to be. Part of the reason is that the load changes with the time of day, the day of the week, the season, and with the introduction of new appliances. If you replace an incandescent bulb with an LED, or if you buy a new computer or television, that changes the load characteristics. We’re constantly going after a moving target. Q: What did you expect to find from the voltage reduction study? We wanted to see whether the load would recover after the 4% drop in voltage. A recovery would mean that the system would not experience discernible energy savings if we applied CVR. Most CVR studies use a static load model known as the ZIP model, which does not factor in time. In this project, we constructed both a dynamic exponential recovery model and a static ZIP model, since the higher resolution data allowed us to consider dynamics. Q: What are the challenges when adjusting or lowering voltage? We can decrease voltage to your house, but if that makes your lights noticeably dimmer, you won’t like that. We may see an initial reduction in electricity use, but that may rebound, or recover over time. For instance, thermostats for electric heat will use less power, but will run for longer periods of time. The same applies to clothes dryers. They sense moisture, so if we drop voltage, they will run longer. That’s what we mean by dynamics. We have to be careful in claiming energy savings by just making everyone’s house dimmer. If we can optimize the voltage reduction to reduce the total energy delivered to a house, we can save money and resources. Q: What has the research team discovered so far? Based on the voltage drop, we found there was no exponential recovery of load in the data we had. These results depend on the types of load on a feeder, thus they may not apply elsewhere. We also found that the dynamic model matched the measured power slightly better than the static load model for an hour after the voltage reduction. In particular, the dynamic model could track the minimum point on the measured actual power curve better than the static model. As far as energy was concerned, in the hour after voltage reduction, both the dynamic and static load model showed slightly higher energy consumption than what was measured, with the static load model being less accurate. This could mean that existing models may not fully highlight the energy savings of CVR. The differences with the static load model, however, reduce with time. Q: What are the implications of this research? Since a recovery did not occur, at least in the system studied, the data suggest that CVR has a high likelihood of success. In general, this study points to the need to use dynamic load models in distribution system studies, especially for shorter-term voltage changes. For longer-term studies however, the static model works better. Hence, there may be a need for either a hybrid load model which combines the static and dynamic and applies the appropriate one in the right timeframe, or the user needs to select the correct model based on the study’s timeframe. Such hybrid, or what we call “composite,” load models currently exist for transmission system studies. We have come across another data set, which is broken down in milliseconds, which we will test. We will be curious to see if the new data set shows anything different, and what hidden dynamics it uncovers.